CHIPPENHAM Town boss Mark Collier says the Bluebirds are full of confidence after seeing off play-off candidates Truro City 2-0 at Hardenhuish Park. The 2-0 home win was their seventh in their last nine outings, as Chippenham continue to strengthen their grip on National League South survival. In the first half it was a fairly even contest and looked as if neither team would break the deadlock before going into the interval. However, veteran Town striker Andy Sandell had other ideas as he put the hosts ahead on the stroke of half-time. The second instalment saw Chippenham dominate but fail to make the most of their ascendency until the 84th minute, when Mike Jones sealed the win for Collier's side. The result leaves Chippenham 14th in the league standings and almost guarantees National League football for the Bluebirds next season. "It was a very good result and I reminded the players before the game that we haven't lost at home to any of the teams in the top eight," said Collier, whose side now cannot finish in the bottom three. "That was going to stand us in good stead, even though Truro were coming to us in good form, and could have moved up to third place if they'd have won. They almost have a play-off spot secured. 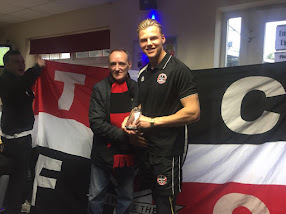 "The first half was tight and cagey, having said that, (goalkeeper) Jared Thompson made some very good saves from Truro's front two but we had a few decent chances as well. "Five minutes before the break I said to (assistant) Gary Horgan that I would be happy to go in with the score being 0-0 because the game always changes in the second half. 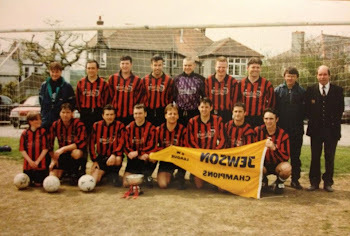 "Then suddenly we are 1-0 up as Nick McCootie played in Sandell, who was able to finish in style. "Then our whole team talk changed because we were a goal in front. it was a great time to score." Collier's starting XI also showed some deviation from what some may have expected as he looks to experiment with his squad until the end of the season. "We played Jon Beeden at left wing back because we thought he could do a job there, then we had Dean Evans playing slightly out of position as a right wing-back," he added. "Beeden hasn't played as a left wing-back before, so there is an option there and he has done well for himself and McCootie played up front with Sandell for the first time too, so we had a little change up top too."